Watch two short video interviews made on the sidelines of a recent three-day AgriFood Chain Toolkit Conference-Livestock and Fish Value Chains in East Africa, held 9–11 Sep 2013 in Kampala, Uganda. Researchers and practitioners in livestock and fish value chains came together in this meeting, which ambitiously set itself the tasks not only of refining a research-developed value chain toolkit but also of supporting a community of practice established to review, assess and improve value chain approaches in research-for-development projects. Fifty-seven participants from across Africa attended the conference, which was hosted by two multi-centre CGIAR research programs—‘Livestock and Fish’, led by the International Livestock Research Institute (ILRI) in Nairobi, and ‘Policies, Institutions and Markets’, led by the International Food Policy Research Institute (IFPRI), based in Washington, DC. In this first, 3-minute, film, the meeting’s CGIAR research hosts share their views on what they hope to get out of the meeting and why their research matters. Derek Baker, an ILRI agricultural economist who works with the Policies, Institutions and Markets program, said feedback from this meeting will help his research team assess if and how markets can be make to work better for small-scale food producers. ‘We wanted to capture the personal experiences of value chain practitioners and stakeholders in their use of our value chain toolkit. And we wanted to better understand the opportunities these livestock entrepreneurs would like to take advantage of if they could find the means to do so,’ said Baker. In this second, 4-minute, film, a few value chain agents/practitioners share their experiences in using the CGIAR toolkit for dairy, fish and crop farming in eastern Africa. ‘Using this toolkit has helped me to improve my livestock production and to find new, better, ways to run my business’, said Lovin Kobusingye, a fish processor from Uganda. ‘Understanding how these value chain tools are used is critical in helping us know if and how the value chain approach works in the smallholder context’, said Elijah Rusike, from the Swedish Cooperative Centre in Zimbabwe. ‘We want information that can help us establish benchmarks and enables us to trace all the different actors within particular food value chains’, said Rusike. The Kampala conference is one of several planned review workshops that will collate, synthesize and share good practices of value chain tool users, practitioners and researchers. 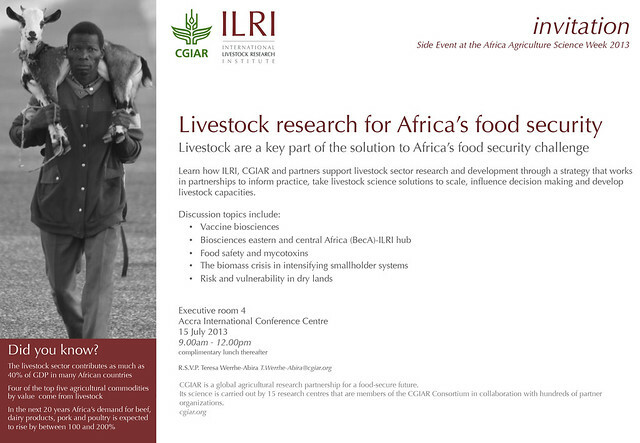 This information supports ongoing CGIAR agriculture ‘value chains’ research in eastern Africa.